In anticipation of Kickin’ & Screamin‘, Krizz Kaliko recently joined us on the Strange Music Podcast for an exclusive live interview. In case you didn’t tune in, here’s what you missed. Speaking on his brand new album, Krizz Kaliko shared some insight on the making of Kickin’ & Screamin‘ and even revealed some of the incredible guest features, including Bernz and Wrek of ¡MAYDAY! In this brief interview segment, Krizz Kaliko discusses the guest features on Kickin’ & Screamin’ and offers up his opinion on the Miami group. Let’s go on to Wrek and Bernz, what are they on? They’re on a song called “Dream Of A King” that me and Makzilla came up with. Makzilla came up with the concept. “Dream Of A King” is the dream of Martin Luther King which is what that song is suppose to be about. How he wanted us all to be together and – even though we’ve all blended together as far as ethnic backgrounds, the world has just gotten crazier. If we were following the true dream of Dr. King, we would have blended with the races, but not let it get crazy with the violence and the wars or the economy getting bad and things like that. I don’t think that’s what he had in mind. I think he just wanted us all to be in harmony. Which, you know, we all are. Naturally, there’s not this separate way of thinking nowadays. In other aspects, the world has gotten a little bit worse. Like I said, with the economy and with the war. That’s why I say in the hook, what are we fighting for? Why do we sell war? We sell war to other countries. I didn’t want to get too serious, but that’s one of the most serious ones on the song. Then, everybody else kinda like talked about their experience with how they feel like things should be. Bernz, Wrek, and Prozak. That’s my wife doing the poetry kind of summing it up right before the Bernz verse. Are you on the ¡MAYDAY! bandwagon? Yes. Yes, I am. Them dudes are phenomenal. Those dudes are dope. We did a song on there called “Last Days”, and my verse on there is getting a lot of high reviews, but those dude can rap. They are very creative to be able to come up with those beats. I know Wrek, Plex, and Gianni, those dudes are the ones who generally produce the music. Those boys are super creative man, I think they are a really good blend with Strange Music. I’m totally on the ¡MAYDAY! bandwagon. 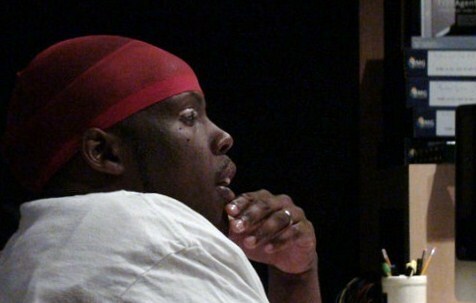 How do you feel about Krizz Kaliko working with Wrek and Bernz?